The best way to keep up to date on our events is by liking us on Facebook. There you can confirm your attendance and get important details about location and timing. To like our page, click on the Facebook logo to be directed to our page. Join Field and Stream Rescue Team as we work our way upstream in Appleby Creek to do some creek ban protection work. We will be tethering christmas trees to the bank of the creek to reduce water pressure on the bank. 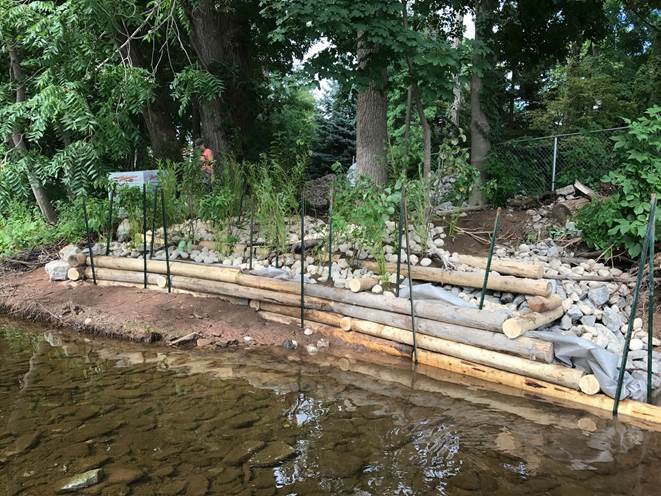 This will help reduce the erosion along this part of the creek. Please dress appropriately for the weather conditions and bring water to stay hydrated. ​Join us for our annual Earth Day weekend cleanup. We are going to be tackling a particularly awful site that is littered with small plastic items right next to a creek in Aldershot. This is going to be all hands on deck! Lots to do. Students can receive volunteer hours. Join us as we partner with the Friends of Kerncliff Park on their twice annual cleanup and invasive plant removal at Kerncliff Park.